I learned my heart was filled with music! how deeply I felt it deep down in my soul! East Tennessee counties' most severe emotionally disturbed adolescents. performances of fiddle tunes and ballads passed down through the centuries. followed were all paid from the sales of the previous releases making the project essentially self-supporting. facility. All the recording equipment was consumer quality and much of it was used and old and not at all ideal for field recording. many of the photos, helped design album covers, and kept track of orders. value. 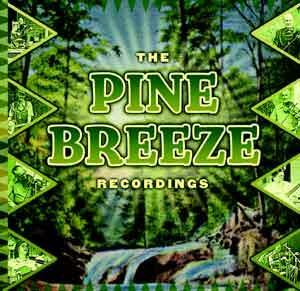 These recordings presented here are proof that there is magic in the music. and other songs. Charles Wolfe supplies notes on the tunes and songs and Ron Williams provides biography notes on the musicians. 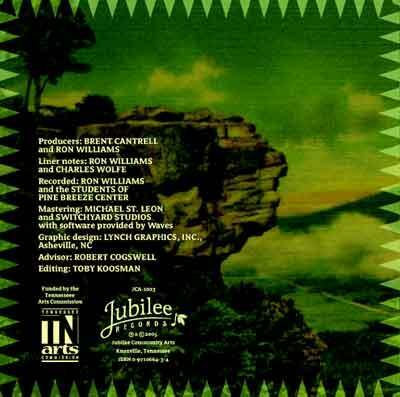 Jubilee Records JCA-1003, were co-produced by Brent Cantrell and Ron Williams with funding by the Tennessee Arts Commission.